Over the past year, several California counties have opted to end their contracts, including Contra Costa in the San Francisco Bay Area and Orange in Southern California. 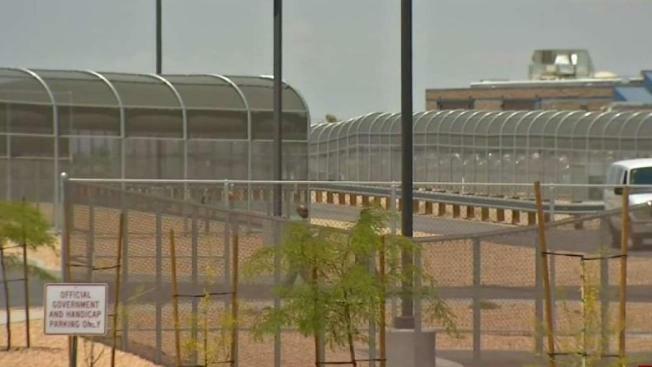 A Southern California desert community has backed out of a contract for the state's largest immigration detention facility in a move that won't necessarily close its doors but rather could open them to an expansion. "Without us being involved, they can expand," said Stevevonna Evans, an Adelanto councilwoman who opposed ending the contract. She said she discussed the issue with GEO officials several times. "I had three meetings with them where they were trying to get me to see it their way — GEO is for this happening." The center — one of the biggest in the country — has faced a litany of complaints about medical care and federal inspectors last year found nooses made from bedsheets hanging in detainees' cells.